This week there isn’t much snappy patter or witty bon mots. 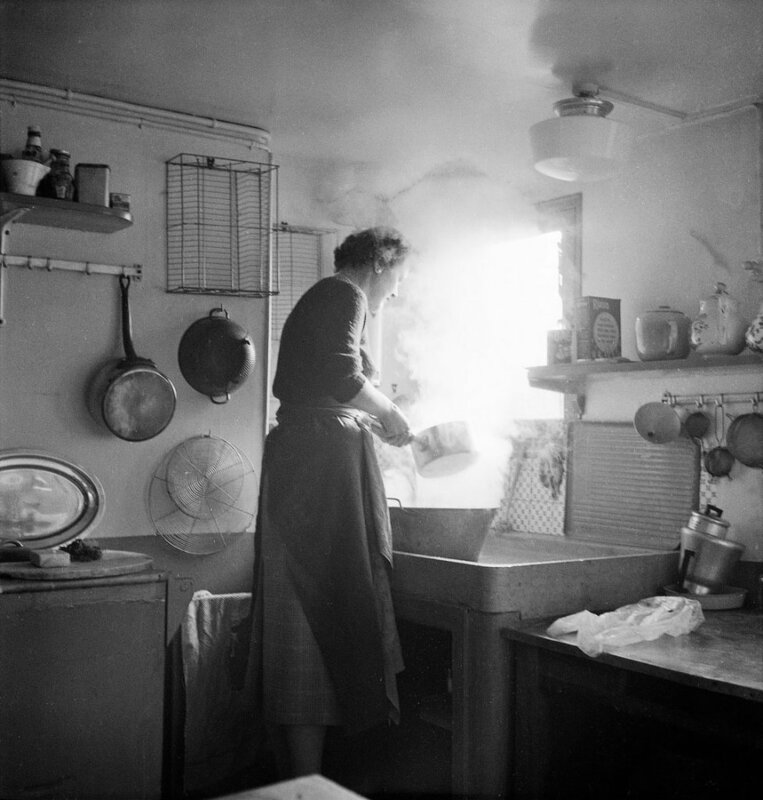 The room I would normally use has been taken up by a recipe from Julia Child. It’s got a lot of steps but none of them are hard. It’s perfect to use up some of that fresh zucchini, but more importantly, it’s delicious. If vegetables are large, halve or quarter them. If seeds are large and at all tough, and surrounding flesh is coarse rather than moist and crisp, which is more often the case with yellow squashes and striped green cocozelles than with zucchini, cut out and discard the cores. Rub the squash against the coarse side of a grater, and place grated flesh in a colander set over a bowl. Just before cooking, squeeze a handful dry and taste. If by any chance the squash is too salty, rinse in a large bowl of cold water, taste again; rinse and drain again if necessary. Then squeeze gently by handfuls, letting juices run back into bowl. Dry on paper towels. Zucchini will not be fluffy; it is still dampish, but the excess liquid is out. The pale-green, slightly saline juice drained and squeezed out of the zucchini has a certain faint flavor that can find its uses in vegetable soups, canned soups, or vegetable sauces. 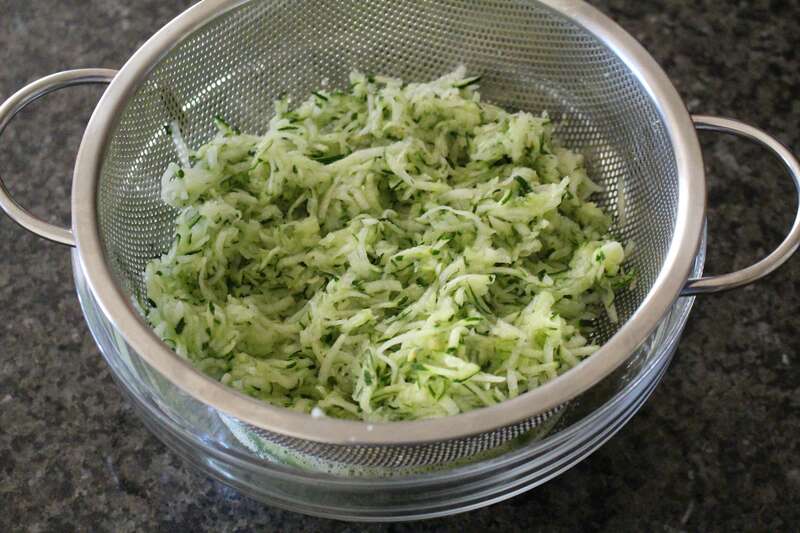 While the shredded zucchini is draining (reserve the juices,) drop the rice into boiling salted water, bring rapidly back to the boil, and boil exactly 5 minutes; drain and set aside. Stir in grated and dried zucchini and garlic. Toss and turn for 5 to 6 minutes until zucchini is almost tender. Sprinkle in the flour, stir over moderate heat for 2 minutes, and remove from heat. Gradually stir in 2 1/2 cups warm liquid (zucchini juices plus milk, heated gently in a pan — don’t let it get so hot that the milk curdles!). Make sure the flour is well blended and smooth. Return over moderately high heat and bring to simmer, stirring. Remove from heat again, stir in blanched rice and all but 2 tablespoons of the cheese. Taste for seasoning. Turn into buttered baking dish, strew remaining cheese on top, and dribble olive oil over cheese. Half an hour before serving, set in upper third of a preheated 425-degree F oven until tian is bubbling and top has browned nicely. The rice should absorb all the liquid. Thanks for your time.